A unique specialty conference, to be held in conjunction with the Underground Construction Technology International Conference & Exhibition (UCT), will tackle an age-old industry issue. 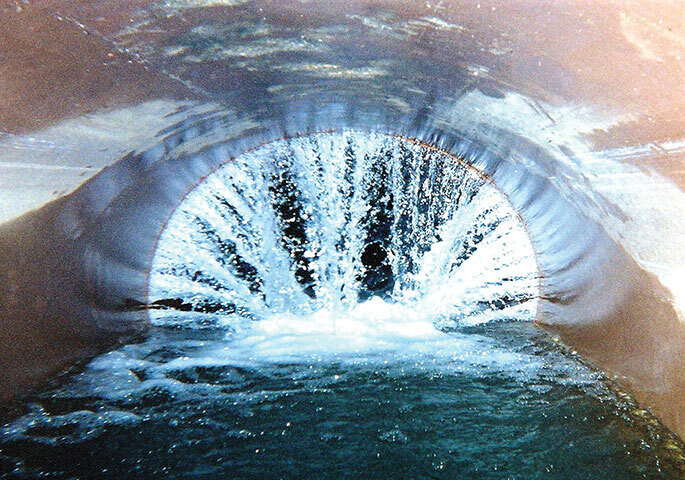 Often misunderstood and frequently underestimated, unabated infiltration and inflow (I&I) is nonetheless deadly to sewer collections systems. Scheduled for Jan. 28, 2019 at the Fort Worth Convention Center in Fort Worth, Texas, the I&I elimiNATION Conference is a first-of-its-kind, one-day event for learning and understanding what’s new, what’s possible and what’s practical for mitigating I&I in the collection system. I&I elimiNATION will explore root causes of infiltration and inflow into sewer systems, revealing both the short- and long-term destructive impacts upon sewer pipelines, and examine possible solutions. As a UCT 2019 preconference event, attendees can expect expert presentations from multiple perspectives with the intent to qualify and quantify the I&I problem and justify or nullify corrective measures with a keen eye on sustainability. Inclusive of multiple technologies and services, the approach to mitigating I&I must always be holistic by incorporating assessment, maintenance and rehabilitation for one compelling reason: water migration is relentless. This educational forum is geared for municipal stakeholders, consulting engineers, regulators, technology and service providers, and contractors converging on a focused topic of removing I&I for the preservation and performance of wastewater collection systems. I&I elimiNATION is co-sponsored by NASSCO, its Infiltration Control Grouting Association (ICGA) division and Underground Construction magazine. It will be hosted and co-moderated by Robert Carpenter, editor-in-chief of Underground Construction, and Sheila Joy, NASSCO executive director. observed ICGA’s conference organizer, Don Rigby. “Infiltration and inflow are the root cause of decay leading to enormous costs for structural rehabilitation. It presents our municipalities with a classic pay-me-now-or pay-me later scenario. Team learning at the event is encouraged, Rigby said. “Registration fees are very economical and include lunch. We’re also offering major discounts for additional personnel from the same organization. A huge bonus for cities is that registration for I&I elimiNATION automatically qualifies each municipal employee for complimentary access to all UCT educational classes, the exhibit floor and the RehabZone – a $395 value,” he stressed. UCT 2019 Fort Worth runs from Jan. 29-31. To register, go to the UCT website at uctonline.com or, for additional details, contact NASSCO at info@nassco.org.